With the continuous development of hose production technology, the current stainless steel hose in life is also very widely used, the classification of stainless steel hose what. 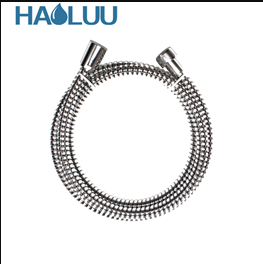 According to the appearance of different categories of hose: mainly divided into three kinds, one is annular corrugated hose, one is a spiral bellows, one is woven hose.Most of the raw materials of the three pipelines are made of stainless steel 304. The main difference lies in its physical structure. Different structures lead to great differences in the functions of the three pipelines.Below small make up respectively to introduce the next three kinds of pipeline. Spiral corrugated pipe is a tube shell arranged in spiral shape. There is a spiral rising Angle between the two adjacent corrugated pipes. All the corrugated pipes can be connected by a spiral line.Compared with the annular bellows, the length of the bellows can be up to 300m, with the same overall longitude and the water resistance coefficient being twice as small, with good elasticity, high strength and anti-vibration.And the characteristics of 304 stainless steel itself.It is mainly used in domestic water pipeline system, solar energy connection system, heating system and so on. The annular bellows is a tubular shell with a closed circular ring, and the waves are connected in series by annular waves.The annular bellows are formed by seamless or welded tubes.Restricted by the processing mode, the single pipe is usually shorter in length and smaller in strength than the spiral bellows.Annular bellows have the advantages of good elasticity and small stiffness.Divided by purpose, stainless steel corrugated flexible pipe by purpose classification: mainly including metal corrugated pipe, corrugated expansion joint, corrugated heat exchange pipe, diaphragm box, etc. 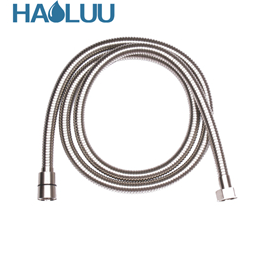 Braided hose refers to the stainless steel hose or hose outside a layer of woven stainless steel wire after the product, mainly used for electrical line protection and household faucets, toilets, showers and other pipe connectors. Braided hose generally according to the above functions can be divided into single-head tube, braided tube, shower tube.Braided hose according to the production process can be divided into low, medium, high three.